Learn from the Best – Visit a Meetup! Companies working with cutting-edge technologies have to keep up with the ever-changing software landscape. It is a key to continuously improve products with new features and enhancements as to have an outstanding team within the fast-moving technology. Tech meetups are a great way to learn or dispense your knowledge to a community that shares your interests, as well to keep connected experts and companies inside the industry. Budapest is a great innovation hub and boasts one of the most vibrant tech communities in the continent. It is also Ustream’s home base for Research & Development. Ustream Hungary is focused on supporting our tech ecosystem, and we often host meetup groups with the sole purpose of bringing the tech community together to educate and nurture the future generation. Every month, software developers, system engineers, IT managers, product managers, anyone who deals with automatization, test monitoring, testing, configuration, continuous integration, cloud systems, etc. get together in a meetup event in our office. 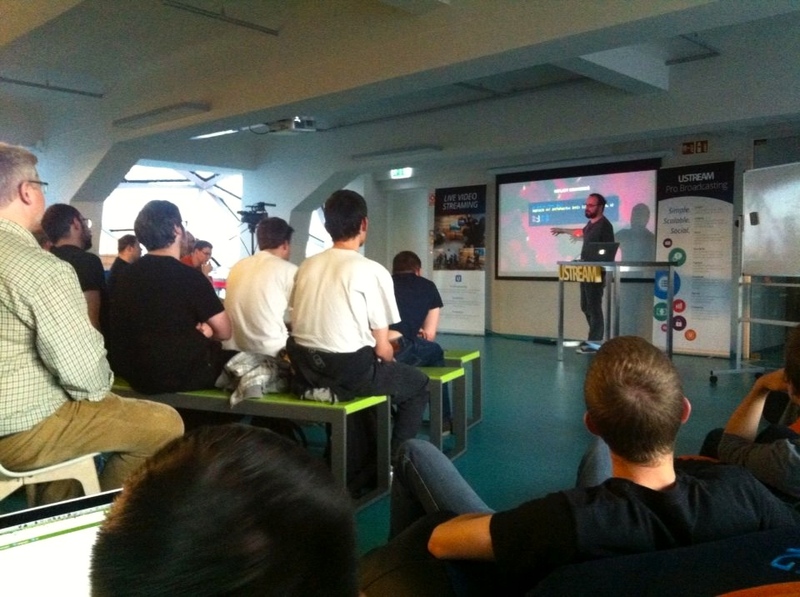 On these events, there are always three main components: a key speaker, the community and free beer/pizza. But what is the main purpose of a Meetup? – To convey and learn the latest product development and product strategy related knowledge and ideas. – To educate product people and learn from each other. – To get to know badass product people. – To give people opportunity for networking and sharing experiences. But there is one consistent wisdom: A Tech meetup helps others get to know the people and the community in your industry and can transform your relationship from open source adoption to a truly collaborative partnership. We are not afraid to share, we are here to help and inform!